It’s kumquat season and I couldn’t be more pleased! These tiny sunbursts of joy usually ripen between November and March, right when we need them to combat the dreaded cold and flu season. Of course you could always take a daily dose of Airborne, but I prefer to decorate my home with these beautiful branches that double as a tasty snack. 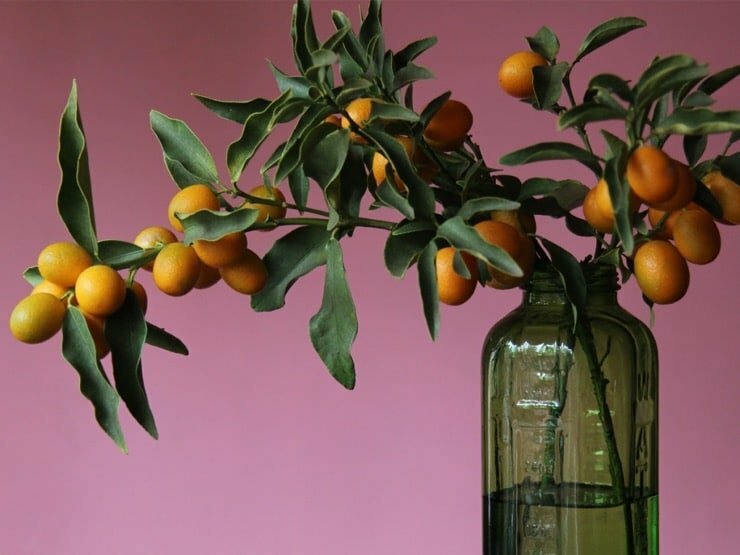 In addition to being pretty and tasty, these tiny citrus are a power-punch of healthy vitamin C! 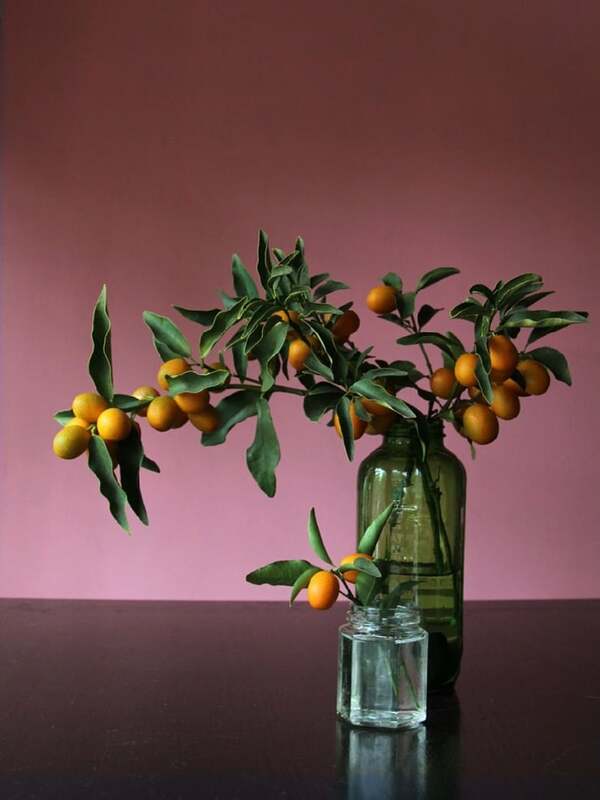 Kumquats originated in China where they were often given as gifts during the Lunar New Year as symbols of prosperity and good luck. I love the idea of throwing a Lunar New Year dinner party and allowing these beauties to spark up conversation as a beautiful centerpiece. 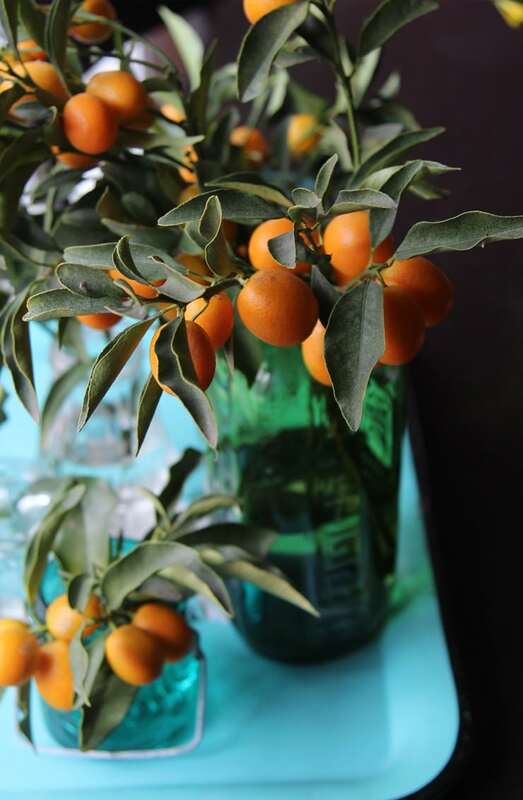 What I love most about kumquat branches is how striking they look all on their own, no additional baby’s breath or greenery needed. They are sort of like like little bonsai-sized works of art. 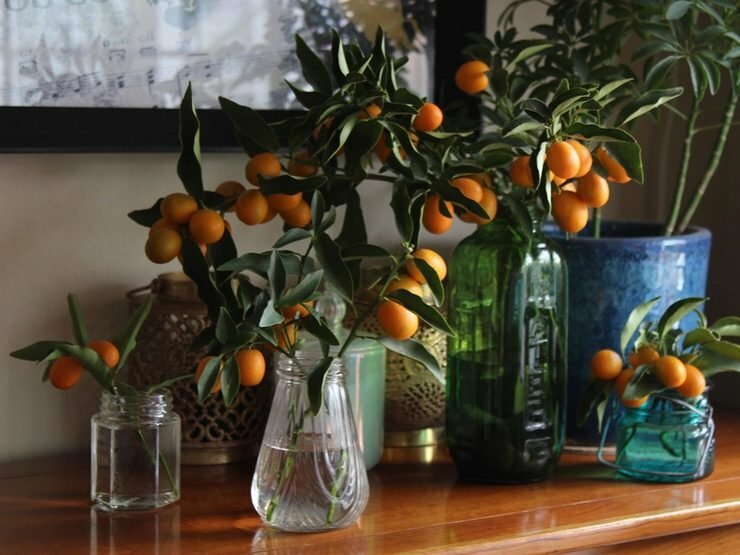 I like to collect small bundles of branches from my tree outside, throw them in multi-colored vintage glass jars with some fresh water, and place them all around the house. Kumquats are also great for packing in school lunches or alongside a container of soup for an ailing loved one. Wherever these little capsules of sunlight end up, they are sure to put a smile on someone’s face. They can be eaten whole, skin and all, so there’s no need for pesky peeling or cleanup. The skin is slightly sweet and the pulp inside can be very sour – but addictive! 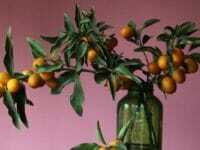 Kumquats also make lovely garden plants. They can handle hot summers and cool winters in pots if you fertilize them regularly. Take them inside if you suspect frost or snow. They are well loved in California and Florida for these reasons and are often used as ornamental bushes. 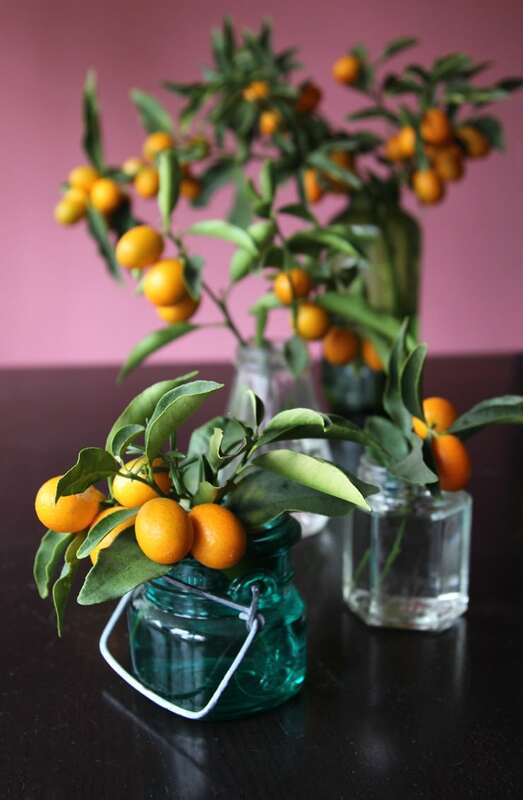 I was fortunate to grow up with a kumquat tree outside my bedroom window. I would often sneak them through my window as a snack before dinner. I have fond memories of laying in my bed, looking through the diamond-shaped paned glass as the small orange ovals bobbed in the breeze. I think I’ll always have a romantic view of these little olive-shaped fruits. 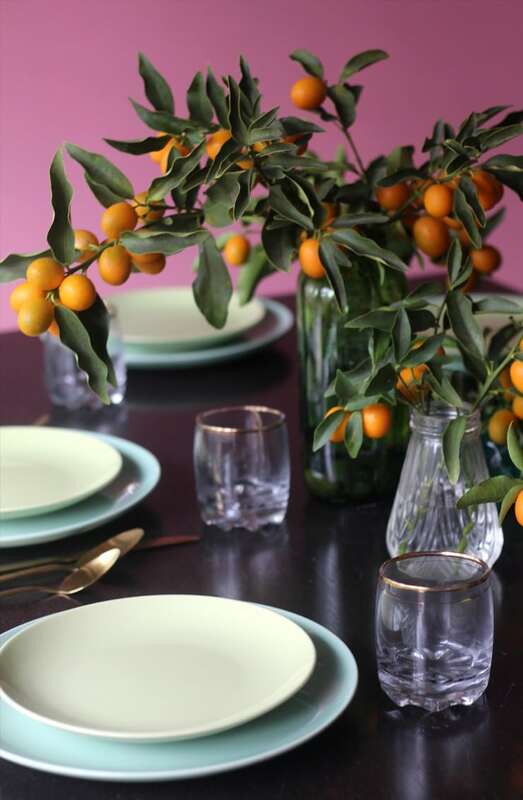 Every year when kumquat season comes around, I take a trip down memory lane to my childhood and fill my house with kumquats. These arrangements never go to waste; they serve as a nutritious snack as well as eye candy! 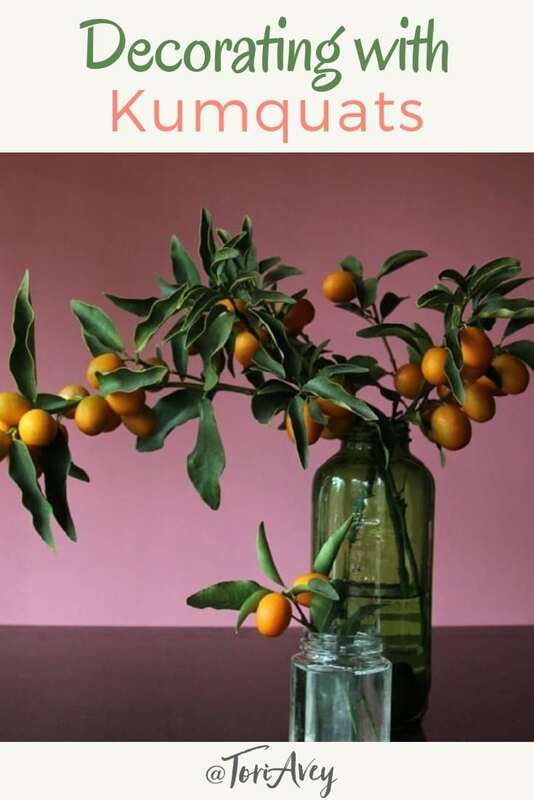 Interested in other ways to enjoy kumquats? 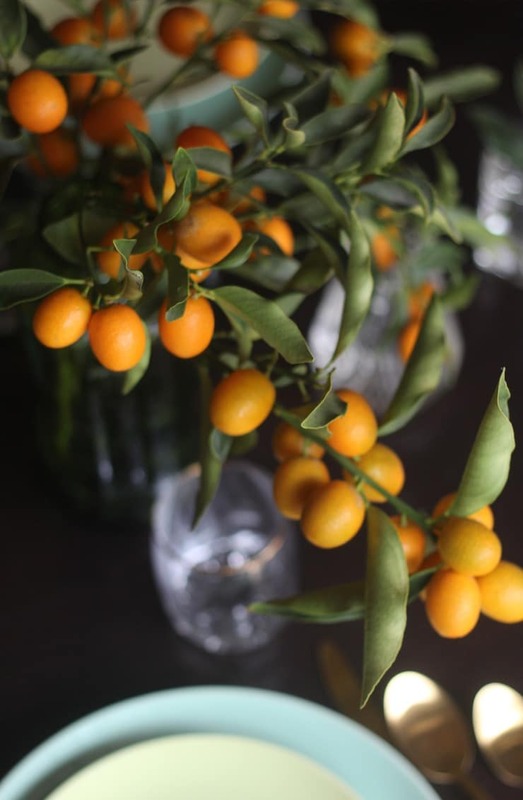 Check out this recipe for Honey Preserved Kumquats.